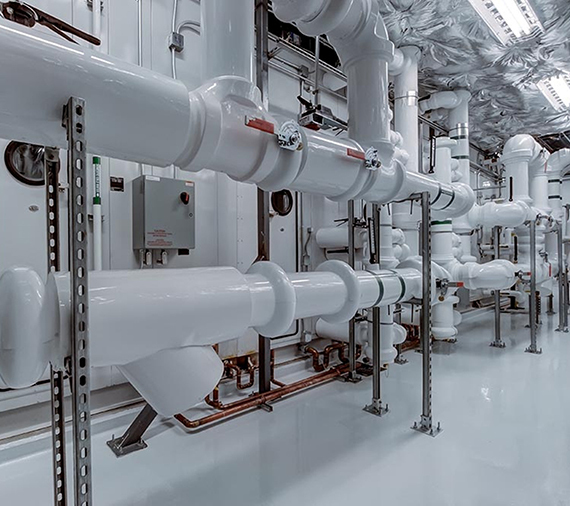 From design to execution, Bay Mechanical makes sure the complex plumbing systems we install run efficiently and smoothly. Our plumbing division has experience with commercial kitchens and bathrooms, all forms of water systems, natural gas lines and medical gas lines. Many of our customers continue to choose Bay Mechanical as their contractor due to our experience in the industry combined with our commitment to customer service.